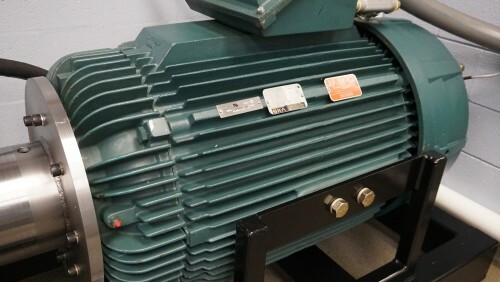 Established in 1962, the Fluid Power Institute™ at MSOE has become a leader in motion control and fluid power education, research and evaluation, distinguishing it as one of the nation’s foremost academic fluid power research laboratories. The MSOE Fluid Power Institute™ (FPI) includes research laboratories both on-campus at MSOE and at a new space within the Chase Commerce Center on Milwaukee’s south side. 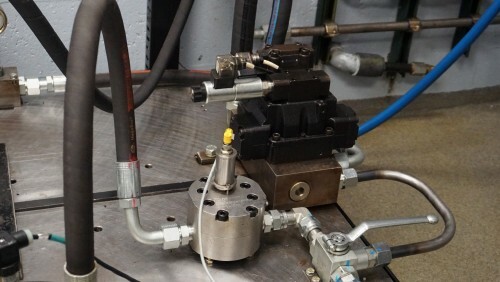 In conjunction, these facilities can operate a wide variety of hydraulic components under high pressure and flow conditions, allowing for custom, in-depth testing and analysis solutions. 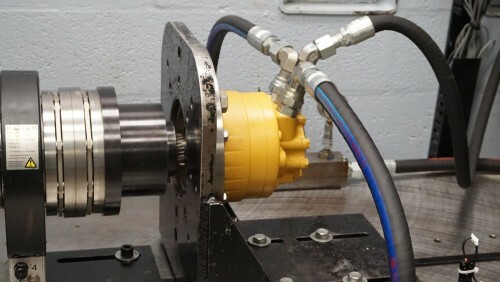 These capabilities have earned the FPI contracts with local companies, such as HUSCO International, as well as world renowned corporations like Caterpillar, Sun Hydraulics, Parker Hannifin, CNH, John Deere and Exxon-Mobil. In addition, the FPI frequently conducts evaluation and research projects for the National Science Foundation and the military. Behind the comprehensive evaluations, analysis and research services offered is the Fluid Power Institute’s expert staff of eight full time researchers-seven with degrees in various engineering disciplines and one with a degree in Chemistry. The knowledge and skills of the faculty and staff in other departments are available to the FPI whenever needed. Further contributions are made by the twelve to fifteen undergraduate and two graduate students who work in the department. Under staff supervision, these students work on projects for outside clients and participate in academic research, enhancing their education and gaining valuable experience for their future careers. 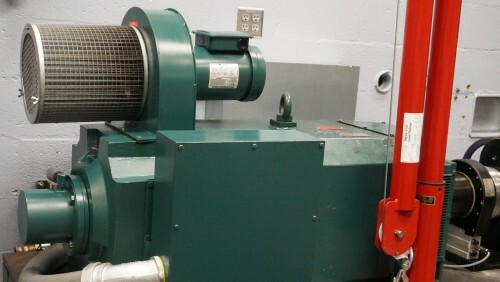 This cell includes a hydraulic power dynamometer for pump and motor efficiency studies. 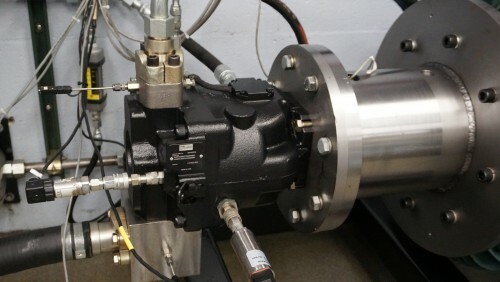 Fully instrumented axial piston pump with sensors for measuring temperature and pressure conditions. Directional control valve and flow meter with ball valve. Specific tests we perform include, but are not limited to, performance, efficiency, endurance, fatigue and burst. Additionally, we provide clients with custom assessments for components and systems using finite element analysis, computational fluid dynamics and other modelling programs. The FPI’s innovative reputation is further bolstered by the capabilities of our tribology laboratory. Here, we have developed specialized analytical tools such as particle counting, ferrography, laser particle imaging, atomic force microscopy, stereomicroscopy and more. 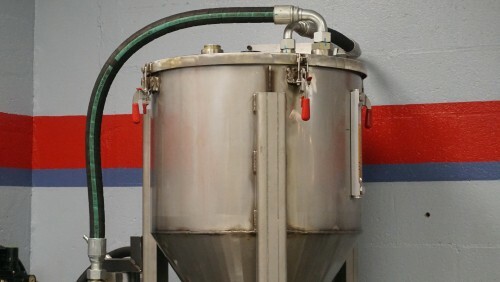 Clients of our tribology services include both commercial and governmental institutions. A notable portion of our research and development on fluid power efficiency is funded by the National Science Foundation. MSOE offers a number of educational seminars and certification courses through our Professional Education and Research Development (PERD) program. Visit the PERD webpage to find out more! We are a member of several industry organizations. Through our 30-year membership to the National Fluid Power Association (NFPA), we contribute to youth outreach, ongoing/professional education, and industry advisory committees. 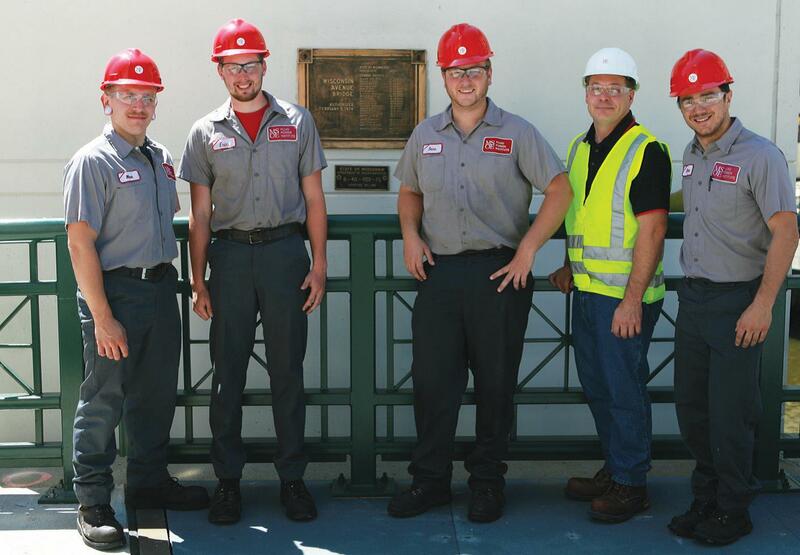 Our staff also contributes material to organizations like ASTM and ISO. 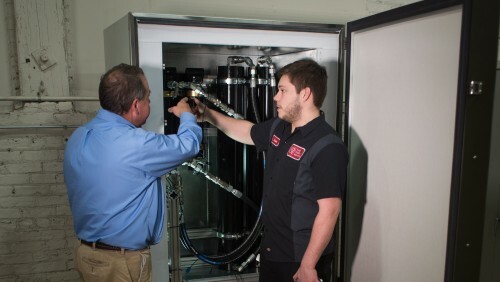 When Hallite Seals America, a global manufacturer of fluid-power hydraulic and pneumatic seals, O-rings, and bearings, went looking for a partner to develop a proprietary, one-of-a-kind testing system, it didn’t take long to choose MSOE and its Fluid Power Institute (FPI).